Two musicians who retired from their musical careers for different reasons join together with a demanding and difficult genius conductor to form an orchestra against all odds. Although it requires a lot of hard work to form their orchestra, they keep chasing their dreams of doing what they love the most in the world and this gives them great satisfaction. Three young and old people with different personalities and life experiences gather together under a common dream and they find love and the room to forgive each other as they eventually earn each other’s respect. The drama exudes a positive energy. Jinny Mar 18 2019 12:55 am I watch this drama because of Jang Keun Suk. He is a bright and fresh actor for this drama. Among old actors and actress Jang Keun Suk bring happy and young atmosphere in BV. He is a talent actor for sure. Indian Rose Nov 16 2016 12:47 pm I watched this drama because I wanted to see the young jang Keun Suk and because he rejected the role "Goo Jun Pyo" in Boys Over Flowers and instead he chose "Kang Geon Wo" in this drama.It is an amazing drama.The script,the dialogues, the cast are all awesome and beautiful music... i never imagined that classic music's concert could be so exciting,it takes the place in my list of favorite dramas. Priya_india Sep 22 2016 10:44 am Classic drama in kdrama history.. The two Kang Gun Woos were the best.. Really proud of Jang Keun Suk to choose this drama instead of Boys Over Flowers.. I have no words to describe the music of this drama.. The script was fantastic.. Kim Kyung Min is an excellent actor.. All the cast with their dreams and friendship between the orchestra members was superb.. And JKS acting is just super fine..
derangedklutz Sep 06 2016 11:31 am This drama really delivered on every level. I loved that they developed the main characters beautifully, but still remembered to address the side characters. Each and every one of them had rich backgrounds, strong motivations, struggle, and complete growth. 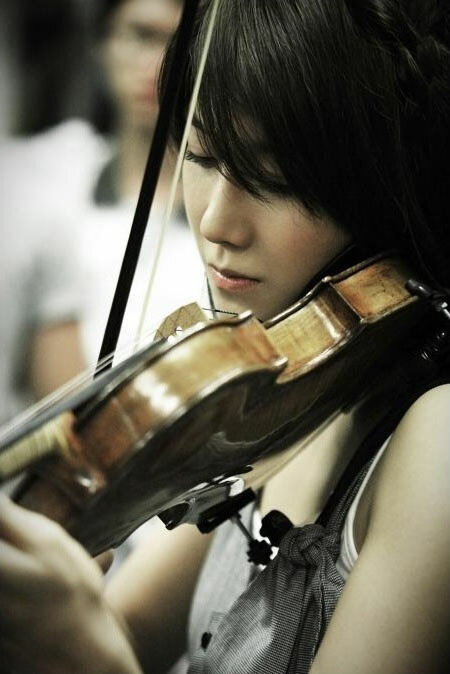 I cried when Jung Hee Yeon let out all her supressed emotions on stage through her solo in Libertango, I cried when Kim Gab Young refused to admit defeat even though his dementia was worsening, I cried when Ha Yi Deun smashed her flute against the tree, I cried when Park Hyuk Kwon stared wistfully at his double bass after he sold it with a smile, I cried when Bae Yong Gi refused to leave the barn because he couldn't accept that his, and everyone's, beloved orchestra just ended like that. It was a roller-coaster ride of emotions and I loved every second of it. The way the romance was handled was amazing as well. It pushed the envelope a little- he was, in fact, 15 years older than her, but I loved the way it crept up on me. From Ru Mi giving him death stares and Kang Mae giving her scornful, condescending looks in the beginning, it grew to become something that made me flutter inside whenever Kang Mae smiled or whenever they bickered. And the minimal skinship between them only made their interactions so much more intense. Even the smallest things moved me, like the silly excuses he makes to see her or the way he can't help but care. The part I loved most was the scene near the end where he grabs her arm to stop her just after he told her he was fine. But then he let go, clenched his hands into fists and then walked away. I loved that scene. It was so powerful. No words, no overdoing of facial expression and yet it was more painful than all the sad scenes I've watched from all the other dramas. The way things ended between them was beautiful too. It was quiet, dignified, realistic, and yes, bittersweet, but it was complete- there was closure at the end. The music is incredible, needless to say. The timing, the classical pieces, the ost and the lyrics- everything was spot-on. They really conveyed the emotions of the classical pieces, too. The wonder in Nella Fantasia, the defiance in William Tell Overture and the grace and dignity in Beethoven's Symphony No.9, I felt it all. The script. Oh my god, the freaking script. The long speeches that never failed to move me. I couldn't get enough of it. Gun Woo begging the choir leader, Ru Mi talking about how she has been giving excuses and settling for second best all her life, Kang Mae defining the word dream, Kang Mae talking about how he became a conductor, Kim Bag Young talking about the courage to feel every emotion, they were all brilliant. My personal favorite is Kang Mae's "apology". The one where he cries out "I can't do it!" I didn't even realize I was crying until Bae Yong Gi wiped his tears. The acting. Need I say more? Jang Geun Suk, Lee Ji Ah and of course, Kim Myung Min- I really enjoyed watching him. His ram-rod back, his arm bent at his side like he was ever ready to conduct, his razor sharp tone, his glares, his smirk, his pocket watch, I loved every bit of the Kang Mae he portrayed. In the Beethoven Virus special, after filming the last scene, he said to the director, "Thank you for letting me play such a beautiful role". No, Kim Myung Min, thank YOU for capturing and portraying that beauty. I can go on and on but really, I just wanted to say: this drama is severely underrated. It's inspiring, heart-wrenching, warm and above all- beautiful. Highly recommended. Alicia Aug 23 2016 12:53 am One of my favorite TV series - excellent acting from Kim Myung Min i beautiful music. Beethoven Aug 04 2014 7:27 pm This was a good drama. I liked Thoven a lot!!! Natalia Jun 17 2014 2:26 pm Waaaa!!!! is an amazing drama!!! The actor's performance is excellent and is full of good music. I never imagined that classic music's concert could be so exciting! Definitively it takes the first place in my list of favorite dramas!!!! ruroushin Mar 31 2014 9:42 am This is one of the best drama that i've ever seen. I begin to love classic and learn about it. The concept, the dialogues, the cast are all awesome...especially Kim Myung Min, you really are 'the true guru of acting'. I fall in love with your character (Kang Mae). I hope there will be Beethoven Virus season 2 with the same cast! Paulene jamie Mar 04 2014 12:01 am So excited to watch this drama though it was aired 2008, still I'm curious of JGS.... Reading all the comments below adds up to my excitement. I checked the awards received and sure did convince me to prepare myself. Lily Mar 03 2014 1:03 am To be honest, I had never been a fan of K-drama. Too lovey dovey for my taste, even though some are great but they never got me hooked. But this amazing, fantastic, incredible piece of work made me fall head over heels with it. This drama didn't focus too much on the love triangle ( btw its also my fav luv triangle evaa) like others, its more about life, relationship and classical music which I appreciated so much. 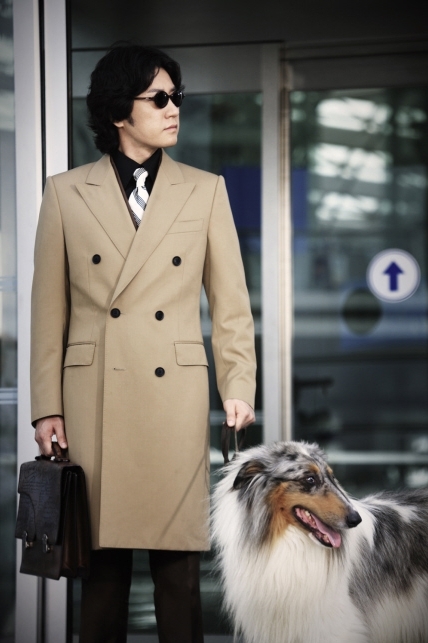 Mr. Kim Kyung Min...idk wat to say about him...he's super amazing! His acting was soooo great and addictive that I have to straight my back every time he's on the screen. Kang Mae and him is one...so in character, so cold yet incredibly good and charming. I thanks the one who had invite him to play Kang Mae, no one can do this mean yet talented conductor better than Kim Myung Min! Lee Ji Ah, i dont like her very much at the beginning cuz she acted a little too hyper, but as the story progress she focused more on the emotions and problems in which she played her best. I like her a lot now. JKS, very good actor, he scowled a lot in the movie though :)) but still good! I strongly recommend  this drama to classical music lovers as well as non classical listeners. Its the BEST of BEST! You wont be disappointed! Krysa Jul 27 2013 11:45 am Simply the best! KMM and JGS acting is superb! Love it! Judy Hallberg Jul 21 2013 9:25 pm I ran across this series while searching through Hulu plus. I find some of the acting "campy" -but also compelling. Of course the music is wonderful! 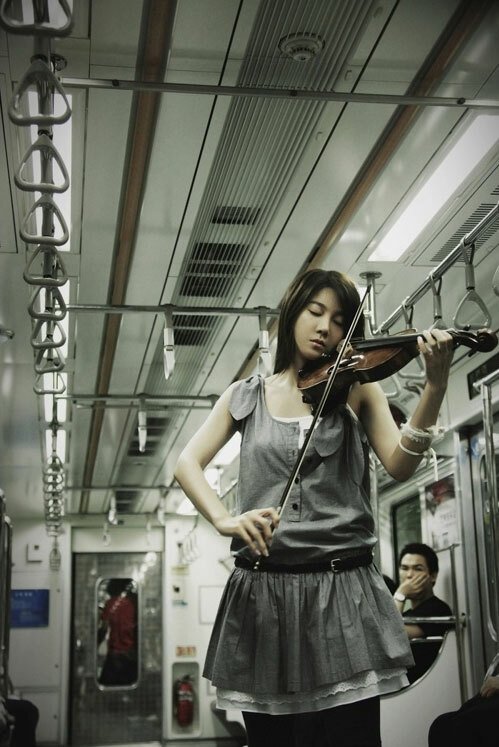 Kudos to this Korean drama that provides unusual insight into the makings of an orchestra and the struggles each musician has to deal with, both Musically and in their everyday private lives. I have always considered that playing in a band or orchestra is very much I team sport! I wish some of the actors playing musicians had done a better job finger syncing to the music. It was also difficult to watch the young and talented trumpet player try to conduct with him Raising his hands on every downbeat. Over all , I'm glad to have found this charming series and I will look forward to viewing other Korean dramas as well. alfiaty said Jan 13 2013 3:06 am I'm very pleasure to watch this film,I've ever watch some Korean films but this one have made me fall in love with the character in those film. I appreciate to Mr. Kim who roles as maestro,great for you......good job! Belinda Bell May 09 2012 6:15 pm So far, this is my seventh Korean drama. I have seen Boys before flowers and I must say that after having seen the best and most popular Korean dramas and have discovered how wonderful they are, I must say that Bethooven Virus is the most compelling, the most creative, the best written and acted Korean drama so far. It is perfect! It is amazing. Both the guy that plays The director and Jan Geun Suk are amazing. No wonder they are both so popular. I will therefore watch anything that Geun Suk has ever done. sara Oct 30 2011 7:22 am I was expecting more romance at the end. what ever happend to Kang myeon-min & lee ji a? 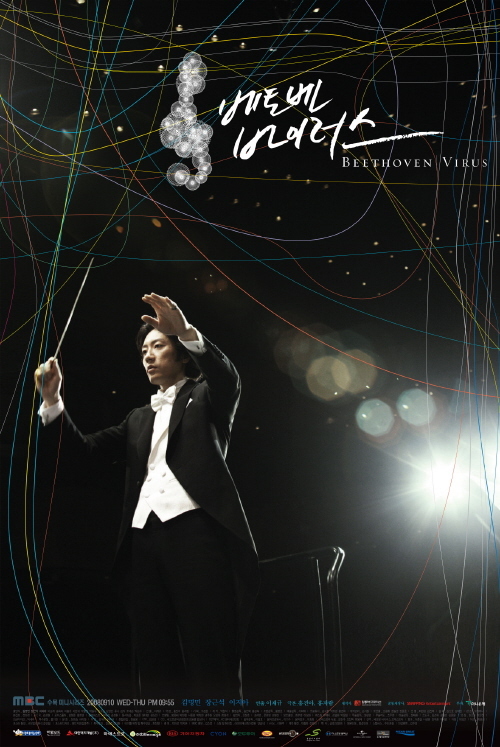 sha Sep 12 2011 1:08 pm i really love beethoven virus. especially even though jang geun suk was still at the young age, he seems really cute. and now, super cuter. sarangheo sukkie.. im looking forward to have a continue story of beethoven virus for i think it is not the end of the story. but it is totally very amazing.. love love love..
Mira Sep 06 2011 11:41 am This was the first drama i got to know Jang geun suk & my first impression was "What a cute guy!". Later on i found out him with long hair & smoky eyes which seemed girlish & i didn't like first. However, after watching You're Beautiful i changed my mind & now i can see how handsome he is even being skinny with long hair & smoky eyes! rajes Jan 04 2011 10:47 am kIM MYUNG MIN!!!! JUST LOVE HIS EXPRESSION!!!! JANG GEUN SUK one of my fav.actor though i must say KIM MYUNG MIN did a great job!!!! BEETHOVEN VIRUS IS A WONDERFUL DRAMA which SOME people find it boring.. but i must say its one of my fav.drama!!!!!!!!!!!!!!!!! LOVE YOU GUYS!!!!!!!!!! and ya one more thing HAPPY NEW YEAR!!!!!!!!!! My Goood... this drama make me crazy to music classic!!! >_< Good job-2thumb-to all actor n actress!!! pn!! Nov 24 2010 6:28 am Woahh!! i love bv soooooooo much! !